08/24/17 - Go Wild! Important Events and Outreach Opportunities! BFC’s 2018 Wild Bison of Yellowstone Country Calendars Now In Stock! 07/13/17 - The Importance of BFC's Summer Outreach & Join Us for Speak for Wolves! 06/01/17 - BFC Closes Field Season with Amazing 20th Anniversary Celebration! BFC Closes Field Season with Amazing 20th Anniversary Celebration! Thank You for Putting BFC on Top of MisoulaGives! March for Science and Wild Buffalo! Save the Date! 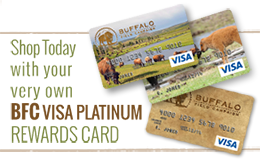 Give to Support Wild Bison on May 4-5. 2017 Wild Bison Calendar Deeply Discounted & Submissions Sought for 2018! 03/02/17 - Yellowstone Buffalo Trap Media Tour Reveals Horrors of "Management"
BFC's Legislator Educator Initiative Helps You Advocate for Wild Bison! Please Send Coffee, it Warms and Energizes on the Frontlines! BFC's Legislator Eduator Initiative Helps You Advocate for Wild Bison! Our National Mammal is Under Fire: Act Now! Montana, Contact Your State Legislators! 12/29/16 - Buffalo On the Move, Need You! BFC Field Volunteers Needed Now! Take Action! Write a Letter to Custer Gallatin National Forest! Take Action! Letters to Custer Gallatin National Forest Needed! Watch the Wild’n Free Short Documentary and Come Volunteer with BFC!Watch the Wild’n Free Short Documentary and Come Volunteer with BFC! Light a Candle for the Buffalo this Holiday Season! Join Buffalo Field Campaign in Southwest Montana for a Week of Action! Volunteers Needed Now! Answer the Call of the Last Wild Buffalo! Declare Your Space Buffalo Safe! Wild 'N Free Gala for the Buffalo: Oh What a Night! 2016 West Coast Roadshow Recap and Thank You! Montanans, Vote Yes on I-177 this Election! Drive the Message Home with a BFC License Plate! Wild Bison 2017 Calendar Now Available in Our New eStore! 8/25/16 - BFC Road Show Ready to Roll West! Wild Bison 2017 Calendars - Get Yours Today, Retail or Wholesale! Request More BFC Outreach Newsletters! Help BFC Complete our Garage and Workshop so we can Maintain and Repair our own Vehicles! Help Spread the Word! Distribute BFC's 2016-2017 Newsletter! BFC Newsletters Arriving to your Mailbox Any Day! Request More for Outreach! Wild Bison 2017 Calendar: Get Yours Today, Retail or Wholesale! Buffalo Wild Submitted to Native American Music Awards! Volunteer with BFC in Yellowstone this Summer! Public Meetings Scheduled for Gallatin National Forest Plan: Please Attend! Spend Summer in Yellowstone with BFC: Volunteers Wanted! Update from the Field & Video: Did the Department of Livestock Conduct an Illegal Haze? Attention California! If You’re in Pacific Grove or Monterey, BFC Needs Your Help on Road Show Event! Pacific Grove, CA: BFC Needs Your Help for West Coast Road Show Event! Buffalo Declared America's National Mammal: What Does it Mean? Technical Problems Don't Derail Give Local for the Buffalo!